Take your training with a mentor. With me as your mentor, you will have my experience in the industry behind you. You will not have to hit the pot holes I hit. I will supplement your class with information on paid & unpaid classes as well as wholesalers for gemstones and other things you may need for your journey as well. Freebies abound & I will sort them out and give you a list of current freebies that apply to you. I will sort through the mountains of information out there and give you specific classes (free & paid) in the specific order they should be taken in. Live in Columbus Ohio or distant learning - whatever suits you best. Distant independent study - easily in a weekend. ** both classes require a text($10 each) purchased together, texts (in eBook format) are free. Connie trained and practiced in Canada as registered nurse. She has since hung up her cap & immersed herself in the study and practice of alternative health. She has lectured extensively though out Michigan, Ohio, Kentucky & Tennessee on the chakra system and related topics. She is currently the Instruction Coordinator at Reiki Awakening Academy where she also teaches on line classes related to metaphysics and energy healing. 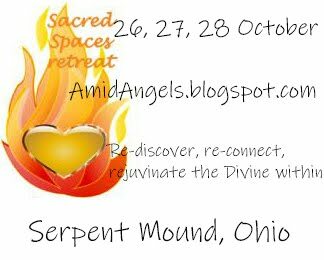 She has her own healing, metaphysic and mentoring practice (AmidAngels) out of Columbus Ohio.